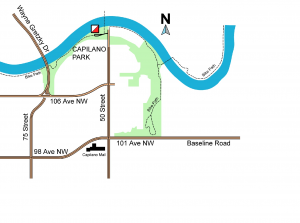 All parks utilized for our Tuesday – East Edmonton Park series are close in proximity. The below schedule may change, based on approval from the City of Edmonton. We utilize Gold Bar Park, Capilano Park, Goldstick & occasionally Rundle Park. Additional Information on all four parks is provided below. The orienteering flag symbol shows the likely meeting location. Access is off 50th Street at the equivalent of 110 Avenue. Registration is usually in or close to the shelter/pavilion. The shelter is heated and has both Indoor washrooms and water fountain. 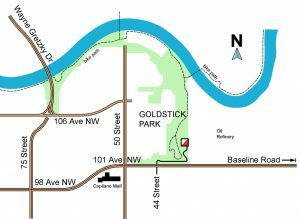 Access is off 50th Street, right before the North Saskatchewan River at the equivalent of 109A Avenue. Registration is usually beside the Shelter/Pavilion. The Pavilion is a small warming shelter and has both indoor washrooms and water fountain. ETS Route 94 from Capilano Transit Centre or the University Transit Centre. 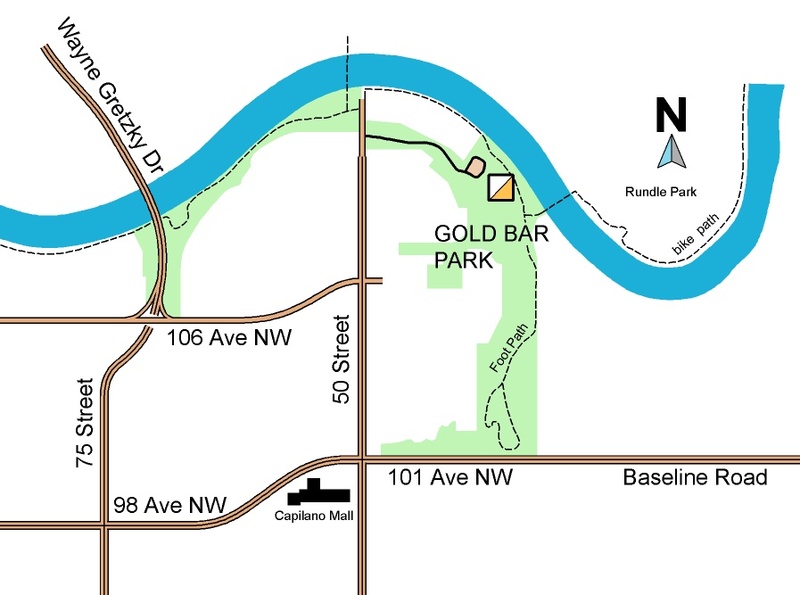 Access to the park is north off 101 Avenue at 44 Street. No public washrooms at this location – stop by the mall on the way! ETS: Routes 1, 4 and others to Capilano Transit Centre, then a 1.5km walk. Access off 118 Avenue at Abbottsfield Road, or 113 Avenue near 30 Street. Drive towards the south end of the park. 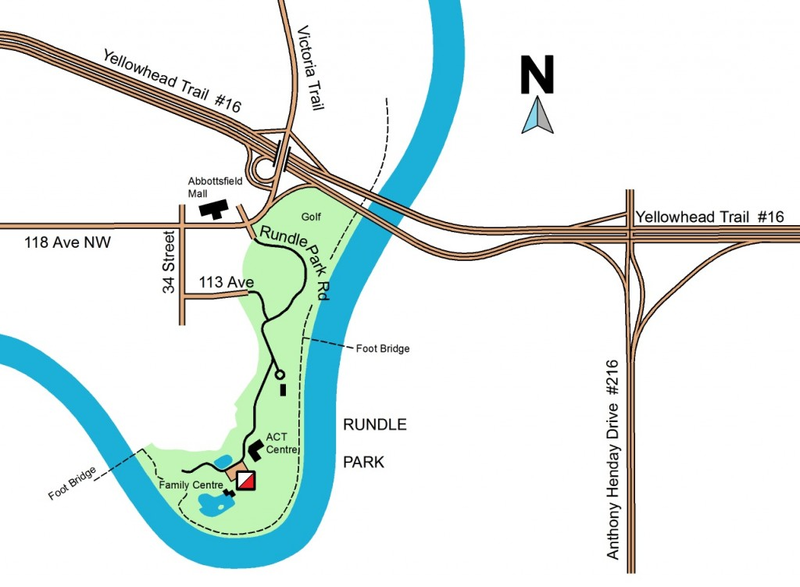 Typically when we use Rundle Park for activities – our meeting location will either be at the ACT Centre or at the Family Centre.